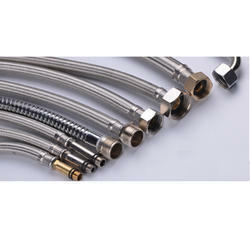 Our manufacture low pressure hose assemblies duly steel/nylon braided. It is Available in a range from size 1/4" ID to 1-1/2" ID, these assemblies are tested 100% for leakages & Manufactured as per customer specification, our low pressure hose assemblies find their application in oil, vacuum, air and fuel lines. We have highly acknowledged organization engaged in presenting a remarkable range of Industrial Hose Assembly. Our organization has successfully expanded its business in market owing to the offered elevated quality range of Hose Assemblies. Heavy Duty Rubber suction hose assembly with heavy duty male & female couplings. Available in various sizes, lengths and material of construction. Can be customized to suit end user requirements. Dixon offers Hose Assemblies in various sectors of market like; Energy Sector, Chemical Sector, Steel Sector and Purity Sector. Manufacturer of Hoses And Bellows. Our product range also comprises of PURE WATER GENERATION SYSTEMS, RO Plants and DM Plants. YOGDEEP Hydraulic Hoses are used in all hydraulic systems and are extremely critical to the functions of these systems. These hoses are used to transmit and hold hydraulic fluids like oils, solvents, grease etc under low to extremely high pressure. We offer a comprehensive range of Agricultural Hoses, which are made from high grade raw material ensuring optimum quality. These are fabricated with latest technology and have widely appreciated by our clients. Our company is instrumental in offering optimum quality Low Pressure Hose Assemblies to our valuable customers. These assemblies are commonly used for the transmission of fluids under low pressure in various industrial applications. Owing to the impeccable design, easy installation and easy maintenance, these assemblies are highly demanded in various industrial applications. Clients can avail from us Hose Assemblies in numerous grades, which find wide application in industries like textile, automobile ans mechanical. Furthermore, our products are largely demanded for vacuum cleaners, petroleum, oil and gas sectors. 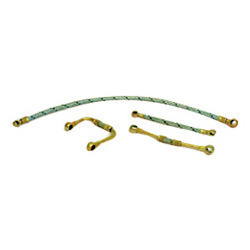 The hose assemblies are perfect combination of excellent quality and nominal pricing. We are Trading & Supplying Hose Assemblies. These products are extensively used to transmit and hold hydraulic fluids such as oils, solvents, grease and more under low to extremely high pressure. Our offered range have a synthetic rubber oil resistant inner tube and a abrasion resistant outer cover in its construction.